Wasserman Football Centre at UCLA reimagines a sporting complex as an interactive history book. The ZGF Architects project was recognized with an AZ Award of Merit in the Experiential Graphic Design category. 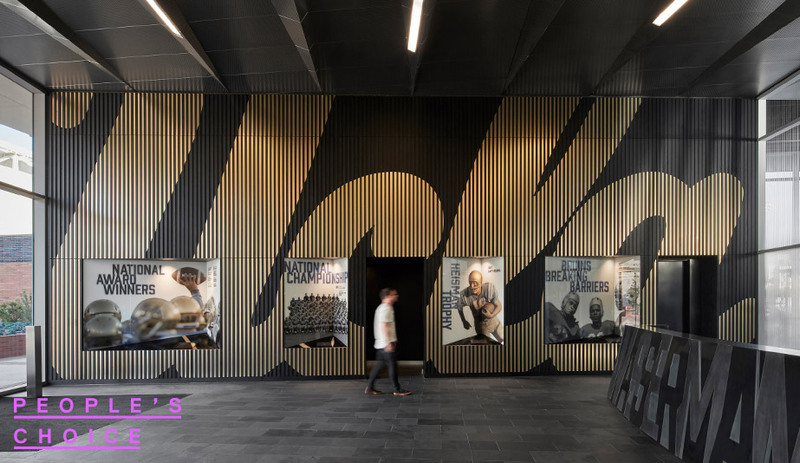 A crucial tool for the football program’s recruiters, UCLA’s 6,800-square-metre football centre acts as an interactive history book. To link the team’s past accomplishments to prospective players’ future glory, the centre’s nearly 200 signs and wayfinders incorporate motifs ranging from varsity-jacket lettering to digital displays and football plays – all handsomely rendered in wood, brass and leather. 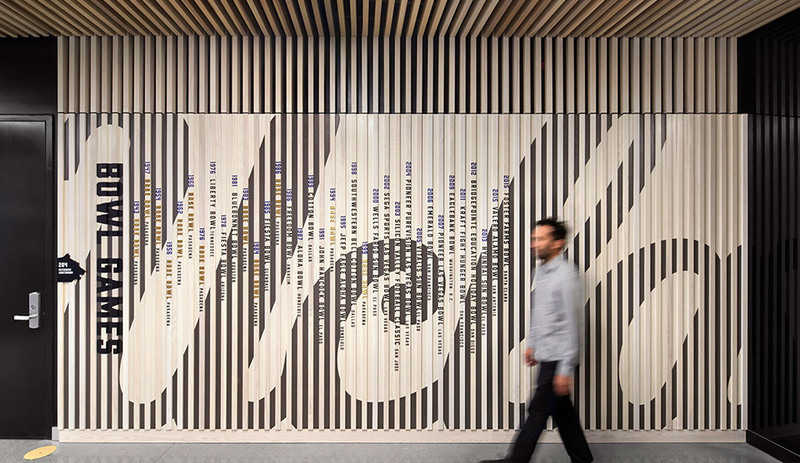 To these elements the design team added 11 massive graphic displays that exploit the building’s long sightlines and high ceilings. 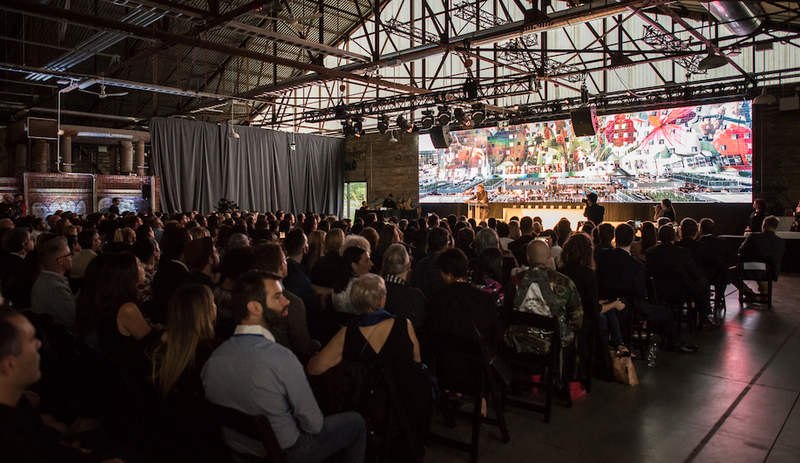 The displays create perspective-dependent experiences – clusters of plaques, for instance, identify former players up close and then dissolve into massive mosaic murals when viewed from a distance.